Drawn from the essence of wildflower blooms by the power of the sun, the Bach Flower remedies produce results which have confounded conventional medicine. Dr. Bach's revolutionary approach to healing through the personality of the patient aroused a storm of controversy. Yet seven decades have demonstrated its efficacy in thousands of cases. This volume includes three books in one: "Heal Thyself" and "The Twelve Healers" by Edward Bach, M.D. ; and "the Bach Remedies Repertory" by F. J. Wheeler, M.D. 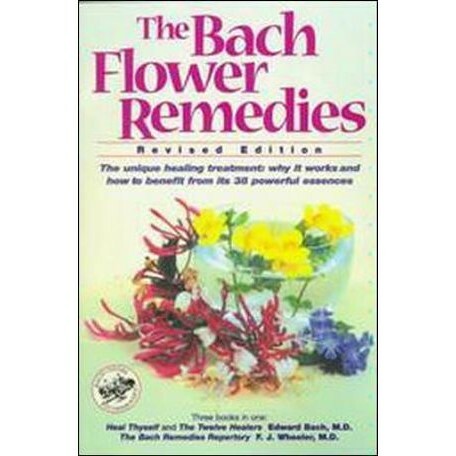 In this comprehensive book you'll discover Dr. Bach's 38 remedies and their application to every situation. It also reveals Dr. Bach's findings on what disease actually is and the natural way to conquer it--by allowing the miraculous human organism to find its own path to true health.